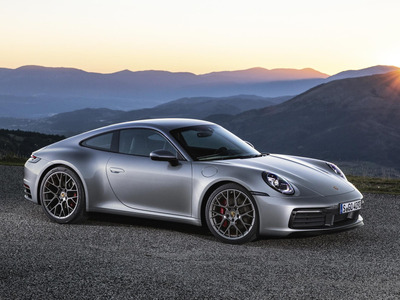 PorscheThe new 2020 Porsche 911 Carrera 4S. The 2020 Porsche 911sports car made its world debut at the 2018 LA Auto Show on Tuesday. 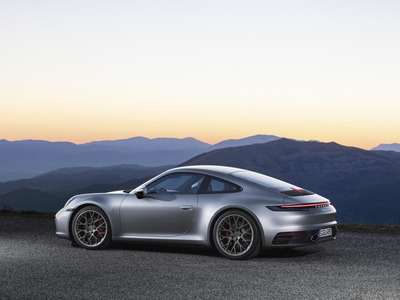 The new eighth generation 911 or 992 will be available first in mid-grade Carrera S and all-wheel-drive Carrera 4S trim. The Carrera S and 4S will be powered by a 443 horsepower, turbocharged boxer six-cylinder engine. According to Porsche, the Carrera S can do 0-60 mph in 3.3 seconds while the 4S can do it in 3.2 seconds. The 2020 Porsche 911 Carrera 4 and Carrera 4S starts at $US113,200 and $US120,600 respectively. 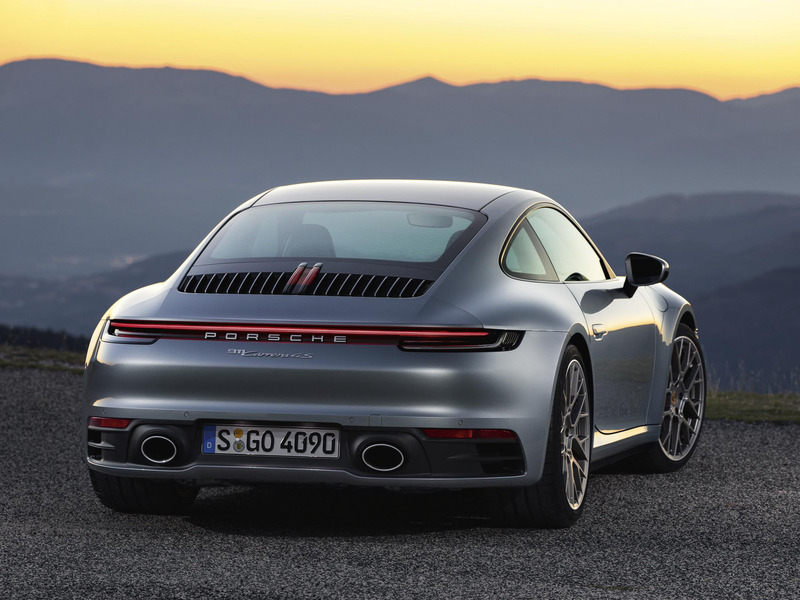 Porsche unveiled the eighth generation of its 911 sports car at the 2018 LA Auto Show on Tuesday. The new 911 is the first all-new version of the Porsche icon since 2011. The next generation Porsche 911 will launch with the mid-grade Carrera S and all-wheel-drive Carrera 4S models. According to Porsche, the base Carrera model will be unveiled early next year. And with all the spy shots of Porsche prototypes running coming out of Europe, expect the Turbo model to follow shortly after. Eventually, the 911 lineup will be filled out with as many as two dozen different variants. Known internally as the 992, the 2020 Porsche 911’s looks are evolutionary, building upon the aesthetics of past 911s while taking elements from other Porsche models such as the Panamera’s continuous light bar that runs the length of the rear end. Consequently, it allows the automotive journalists to continue the long-running joke that all Porsche 911s since 1964 look the same. 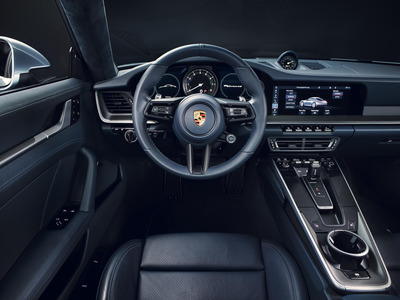 The interior of the 992 draws heavily from the second generation Panamera sedan that was introduced back in 2016 and won Business Insider’s 2017 Car of the Year award. Read more: 23 hot cars we can’t wait to see at the 2018 LA Auto Show. 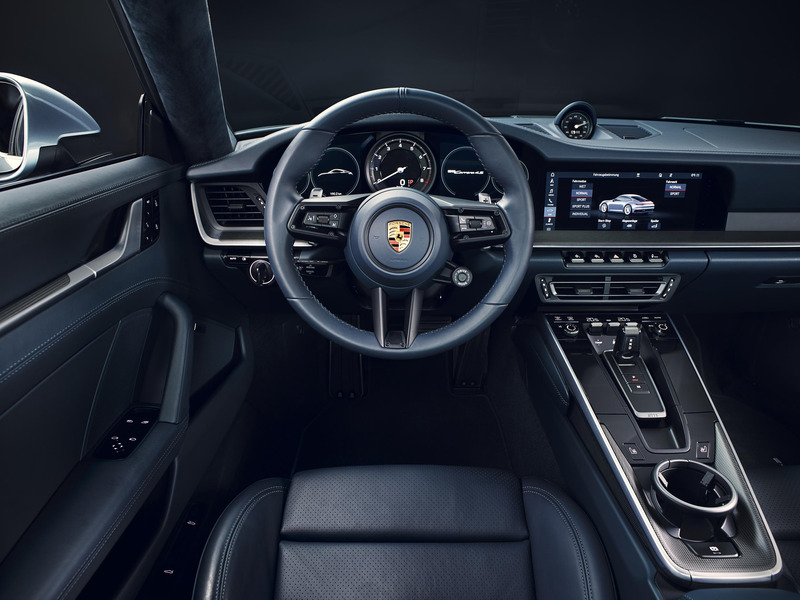 The highlights of the interior include the 10.9-inch widescreen infotainment display and the use of touch panels on the center console instead of buttons. However, the biggest shocker is the addition of a center console-mounted cup holder. Not that long ago, the Porsche didn’t even bother to include cup holders at all on the 911. The current generation had collapsible units that fold away into the dash on the passenger side of the car. While ingenious in design, it always felt a bit too flimsy to handle a venti iced coffee. The new console-mounted unit takes the 911’s cup holder game to new levels. Now for the truly important bits. Mounted behind the rear axle is a 3.0 litre, turbocharged boxer six-cylinder engine that produces 443 horsepower, up 23 horsepower from the outgoing Carrera S.
Power flows either to the rear wheels or all-four-wheels through a new eight-speed Porsche dual-clutch or PDK transmission. Fear-not traditionalists, a manual transmission will be available at a later time. 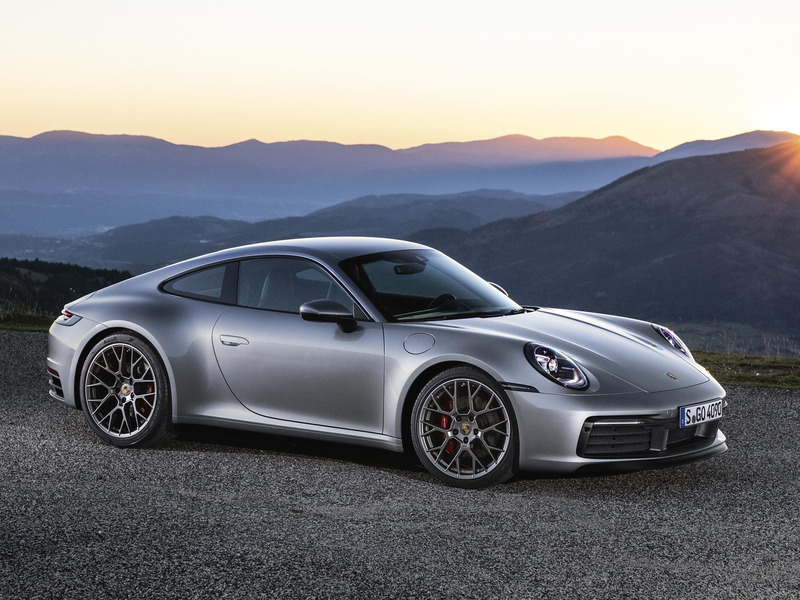 According to Porsche, the 911 Carrera S can do 0-60 mph in 3.3 seconds and a top speed of 191 mph when equipped with the PDK transmission and the Sport Chrono package. With the same options, the Carrera 4S can to 60 mph in just 3.2 seconds and reach 190 mph. The 2020 Porsche 911 Carrera 4 and Carrera 4S starts at $US113,200 and $US120,600 respectively. The cars will reach US showrooms next summer but are available for order now.